Bindi’s big brother, Rocco, is very sick. All she wants is for him to get better. While Rocco is away getting treatment, Bindi discovers the healing power of a good yarn and a simple wish. 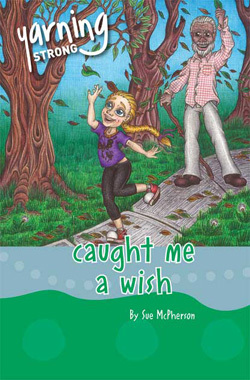 Text type: Caught me a wish is a narrative text in novel form.